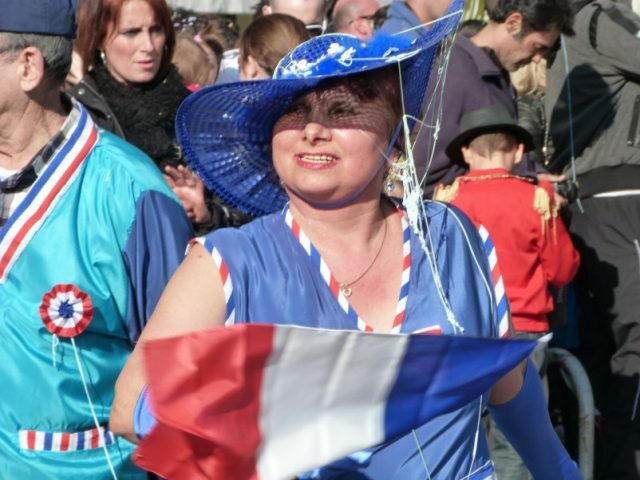 Carnival; it’s a big thing in France. It brightens up the depressing month of February with schools and towns across the country holding parades, people wear fancy dress and have fun. It’s the biggest time of the year for kids to dress up, although Halloween is pretty popular too. Before I lived here, carnival didn’t feature much in my life. 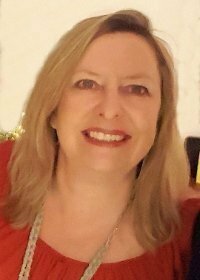 Although I’d been to a few around the world and had a ball – Sydney Mardi Gras, Notting Hill and best of all Trinidad (actually one of the most amazing travel experiences ever but that’s another story for another time) I mainly associated it with Rio and Venice. 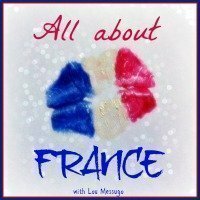 I had no idea at all how popular it is in France and that Nice Carnival is thought by some to be the oldest of all with the first written mention of it dating back to 1294. 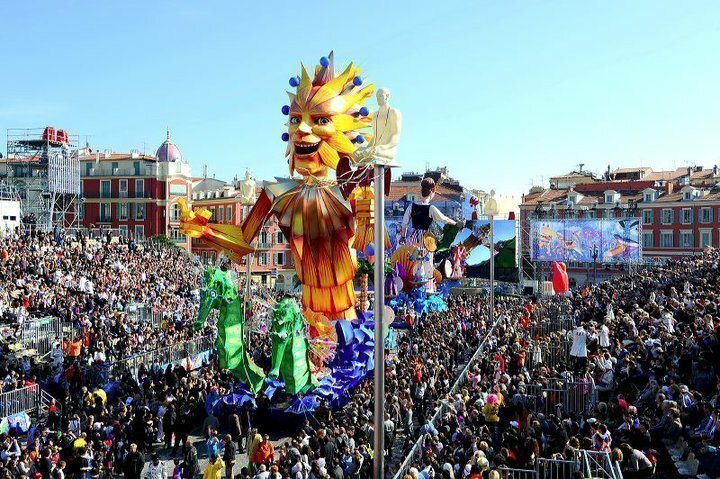 It’s now the biggest annual event on the Riviera and one of the biggest carnivals in Europe. Carnival is originally associated with Lent, one last blow out before 40 days of fasting and reserved behaviour, which is why it takes place in the dreary month of February. Luckily for us in the south of France the weather is usually pretty good and every carnival I’ve been to in the last five years has taken place under bright blue skies and glorious sunshine. Couple the good weather with the colourful carnival floats and you’ve got a great tonic for seasonal depression. It always makes me happy, the kids love it and we go en famille to this big street party every year without fail. 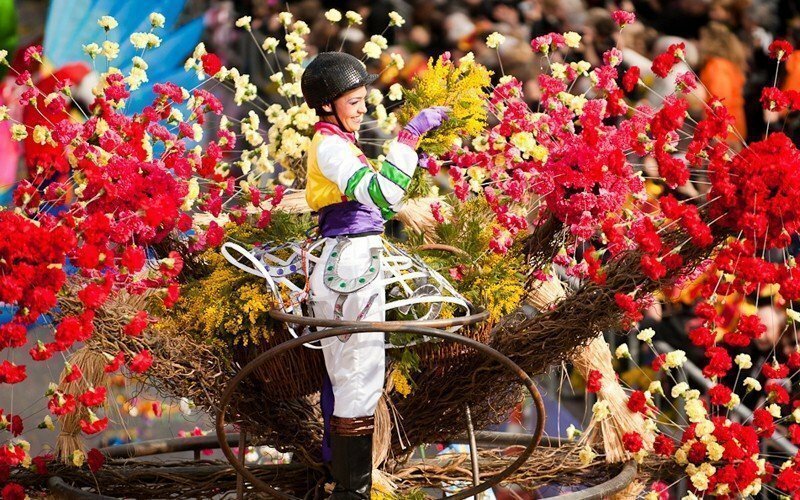 There are two particularities about the Carnaval de Nice – one, that it takes place over 2.5 weeks (not just a couple of days) and two, that much of it focuses on flowers with its unique “Flower Battles“. Every Tuesday, Wednesday, Saturday and Sunday during the carnival period there is something going on. 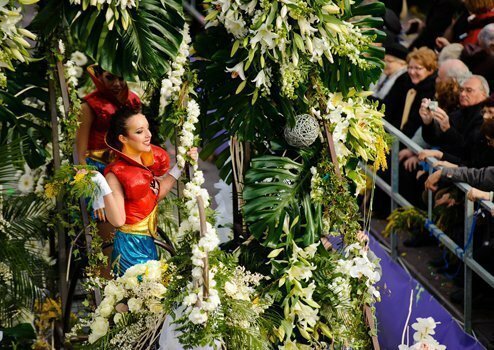 There are day-time and evening parades of both the main carnival floats (Corso Carnavalesque) and the flower floats (bataille de fleurs). They last a couple of hours. 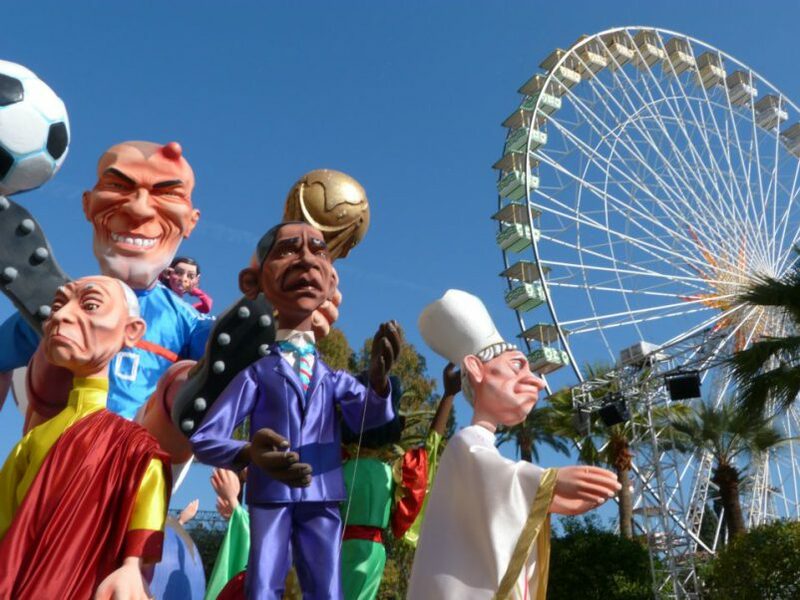 Every year there’s a theme and 20 floats are created with giant burlesque, satirical characters, the “big heads” (grosses têtes) (usually around 150 in total) dominating each group. These characters can be imaginary or taken from real life, such as the British Royal family, the Pope, Zinedine Zidane and Putin (to name a few that I have seen recently). Each of the 20 floats has its gang of followers in coordinated outfits, including dancers, acrobats, marching bands, street performers and musicians. There are also participants from a dozen or so foreign countries often reflecting their national folklore and traditions. The flower floats follow the theme too but tend to be less parodying, concentrating more on the beauty of the flowers which are nearly all grown locally (90%) especially for carnival. Over the 2 weeks 100,000 are thrown out at the spectators from the floats in the “battle”. The aim is to catch a branch of mimosa or a lily and take it home. I’m torn between thinking it’s a shocking environmental waste and a beautiful, natural bit of fun. Whatever you think of it, it’s certainly unique. During the parades you’ll find face-painters, stilt walkers, clowns and musicians wandering around in the park, Jardin Albert 1er, right in the middle of things. It’s always decorated with fanciful creatures or objects for the occasion too. One year there were people made out of leaves wherever you looked; climbing trees, sitting on benches, hanging on to balconies…. We always get there early to make the most of the fun, grabbing a slice of socca (a local niçois chickpea pancake – delicious!) for lunch and getting the kids’ faces painted. Most children dress up in fancy dress but it’s worth noting that you get in free to all paying events including the flower parades if you are in disguise! You can buy tickets to sit in the stands from where I guess you must be guaranteed a pretty good view but we never do. It’s so much more fun to stand on the roadside, mingling in with the carnivaleers, throwing confetti and dodging the squirts of sillystring. Which brings me to my biggest bugbear about Nice carnival…call me old-fashioned but I hate sillystring! It’s that bright fluo coloured squirty plastic stuff in aerosols that kids just love. They squirt it in your hair, in your face and all over the floats to such an extent that by the end of the two weeks you can barely see the original characters. And don’t get me going on the environmental impact it must have….Confetti is fine, it’s traditional (first used in 1892) and biodegradable, produced from waste paper which is from a sustainable source in the first place. And it doesn’t ruin the floats. So here’s another tip, try and go to carnival nearer the beginning of the two weeks than the end if you can so that you get a good view of the amazing creations unruined by kilos of plastic yuck! Carnival starts with the arrival of the King on the Friday night and the first weekend includes sporting and charitable events. There’s a 16 km Fun Run along the Promenade des Anglais and a crazy sea swim “le Bain du Carnaval”. The swim is free to enter and for every participant the organisers donate a sum of money to the local children’s hospital. Wetsuits are allowed and fancy dress is encouraged! The festivities end, 17 days later, with the ritual burning of the King out at sea in the Baie des Anges accompanied by music and a truly spectacular firework display. It’s a dramatic, even moving, moment and a couple of years ago number one son was nearly in tears. He wouldn’t like to admit it now, being a teenager, but he was, trust me! The ending aside (which is great, no matter how sad!) Nice Carnival is a joyous time, full of colour, music, smiles, noise and fun. It’s the perfect antidote to the winter blues. For more information on dates, times etc click here. If you’d like to see more photos of Nice Carnival and the lemon festival in Menton which takes place at the same time just a few kilometres down the road click through to the other articles I’ve published: Nice Carnival 2014 – a photo essay, Lemon Festival on the Côte d’Azur – Menton’s Fête du Citron and Battling with flowers and the meaning of Carnival in Nice. Have you ever been to Carnival somewhere in the world? Do tell! Great photos, it all looks so warm and sunny! Back again from #citytripping! I wonder how many grosses tetes will feature Trump this year…..
Oh it certainly does, it’s one of the biggest in the world, not as famous as Venice but nearly as big. I hope you enjoy it, I know Nice residents find it very disruptive. How about this year Holly??? 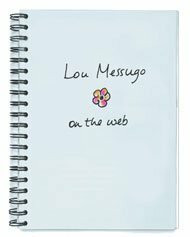 We’ve got a sudden and unexpected vacancy at Lou Messugo! It looks amazing I really need to get down one year for it! Thanks for the Carnival preview, Phoebe! Your pictures are fab! I’m looking forward to going to at least one parade this year! It’s funny how when you live here (in Nice) sometimes you just try to avoid the crowds. Looks amazing, I have only need to Notting Hill Carnival so not must to compare too. Nice sounds more pleasurable thou. I love all the huge display models. The Queen is very funny. It really is a great way to get some colour into your life Tanya! Sometimes I think that Nice carnival has lost its soul a little, it should be more manic really! I’ve only been to Notting Hill once years and years ago. I’d like to go again. Maybe you’ll make it back for this year Tanja? The Royal family were really funny, Kate and William featured too. I must write up gay carnival, I never did! Yes we normally do, though occasionally a parade or 2 gets rained off. Let’s make it a date for 2017 GGG! Glad to hear you’re on my side about silly string Swags! Wow – I could really do with something like this right now! Love the Queen and Price Charles Grosses Tetes. And I’m excited about the Gay Carnival – off for a read now. That looks amazing and your photos are fab – they really bring it to life. Looks so much fun and so colourful, but the crowds! I’m not sure I could cope with the crowds! Luckily I’ve never experienced air rage, that must have been scary, no wonder you remember it even after 16 years. Yes, Mardi Gras in Sydney ! Massive. My other lasting memory of that was experiencing air rage on the flight home – the guy in front of me went nuts. I slunk down in my seat, the air crew managed it all, and before we could get off the plane on landing the police came and arrested him ! & Mmmm. Not a bad idea re. Nice carnival! Let me know if you have any dates in mind. (Will reply by text). I love your tip about going early to avoid “seeing the amazing creations unruined by kilos of plastic yuck!”. Will definitely keep that in mind! Sadly going to miss it again this year as I will be traveling, but thanks for the amazing pics. One of these years I WILL be there! WOW, what amazing pictures! You’re right, the colors really make you forget it’s February! 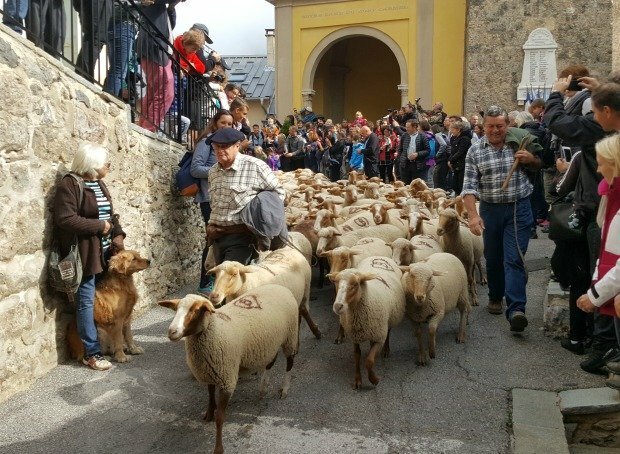 Apparently, there’s a big crazy celebration in our little Bavarian village today, too, for carnival – debating how involved to get! 😀 Love this, and I hope you and your family have another wonderful time! P.S. I HATE silly string, too! Yes it was fun the year they had the Royals (I think it was when the Queen had her 60th jubilee). Jennifer, you should give me a shout when you’re here, it’d be fun to meet! 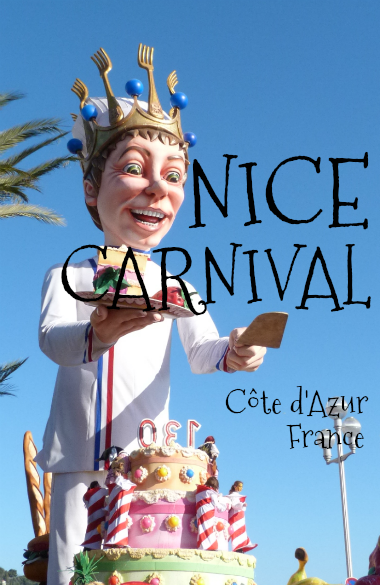 Why don’t you pop down to Nice this carnival time and we can “do” it together? Do you remember when we went to Sydney Mardi Gras together when N° 1 son was 6 months old (ie 16 years ago!!)? The Broome festival sounds great fun! 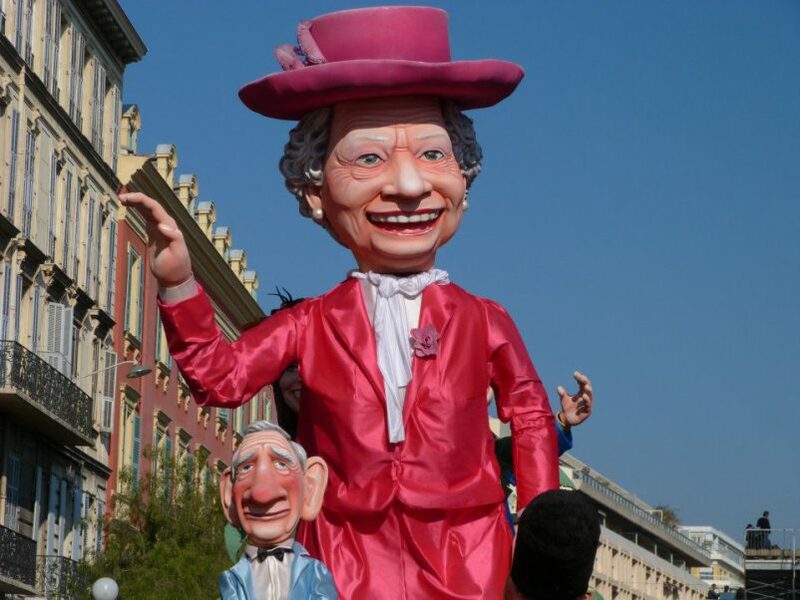 Great pics – the floats are huge! My most recent carnival was Shinju Matsuri in Broome, in the north west of Australia. The float parade was very much a community affair which draws from the history of the town – aboriginal communities, japanese, chinese and malay communities who along with the aboriginals were the original pearl divers. The thing that I loved is that it is hot (of course), and the emergency services vehicles spray water into the crowds. The kids go crazy – a festival version of running under the sprinklers. wow the carnivals look so colourful and festive. It must be great to attend. I love the photos. I’ve got a friend who now lives in Nice and she is always telling us to come and visit! Your post has made that even more tempting – timing it for the Carnival would be particularly good I think! Carnivals and parades are such fun. The last we went to was at Disneyland Paris – they have parades all the time there! wow this looks amazing! Colourful and vibrant. Phoebe, Carnaval there looks so warm and inviting. Here in Germany, you have to get all bundled up and hide the costumes! Gorgeous! Thanks for linking up with #wkendtravelinspiration! Beautiful shots! You caught the vibrancy of the celebration – I could almost hear and smell it as well! Great pictures. 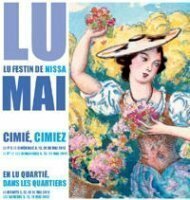 Sadly when I visited Nice Carnival a few years ago, the sky wasn’t so blue! Sounds like a good excuse to go again! Thanks for commenting and your kind words! Yes Trinidad carnival was a wonderful experience. VERY different from Nice but so so much fun. I will never forget it! Terrific pictures. Seeing them brought back memories of delicious socca and all the parked floats. I can assure Delia that most of the time the winter weather is as good as the photos suggest, which is why the Victorian and Edwardian Brits “invented” the Cote d’Azur – as a winter – not summer – resort. I’ve watched my grandchildren swimming in the sea in early January under a cloudless sky. Mind you, they didn’t stay in long! Great carnival and pictures, Phoebe! The weather seems pretty nice from the photos. Is it always like that during winter months?